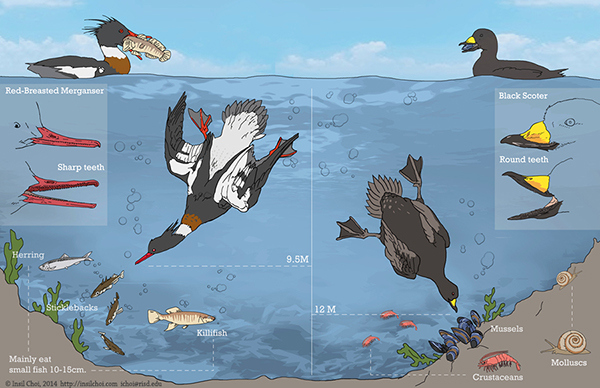 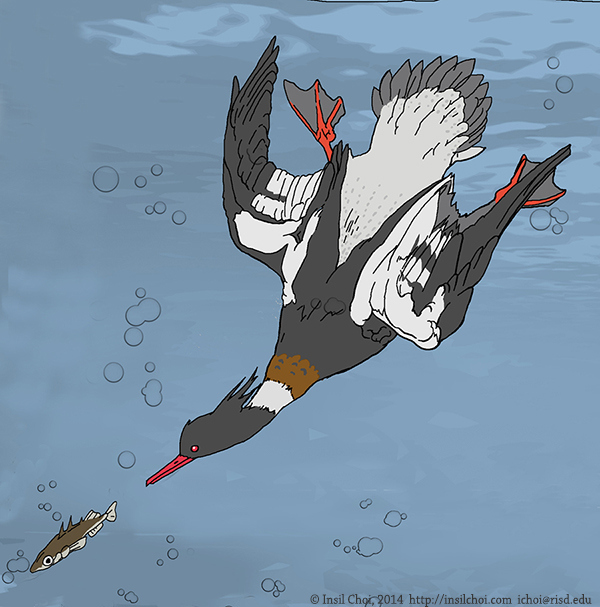 Comparison between red-breasted merganser and black scoter in terms of their food sources in a relation to their shape of teeth. 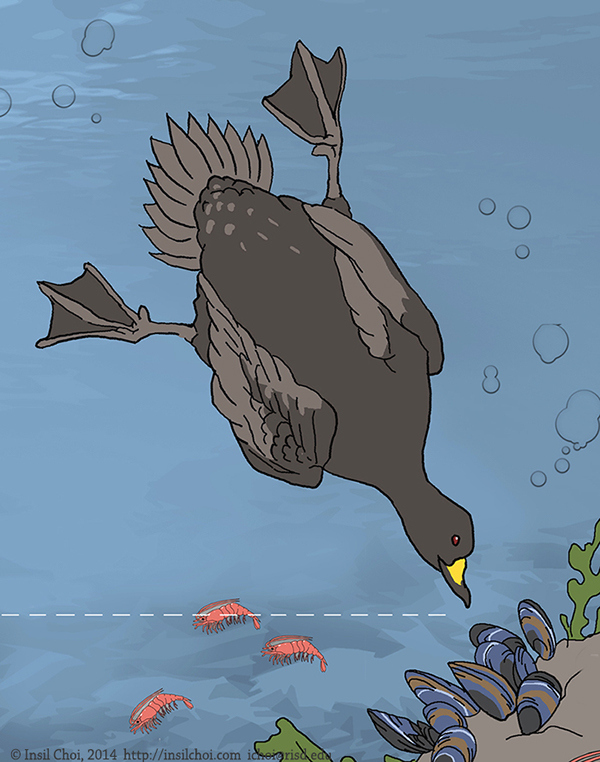 Marine Divers by Insil Choi. 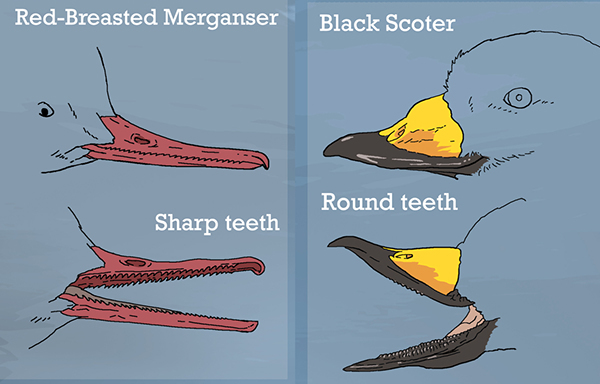 Comparison between red-breasted merganser and black scoter in terms of their food sources in a relation to their shape of teeth.